Infallible Techie: How to change the default Lead owner while creating Leads from Web to Lead form in Salesforce? How to change the default Lead owner while creating Leads from Web to Lead form in Salesforce? 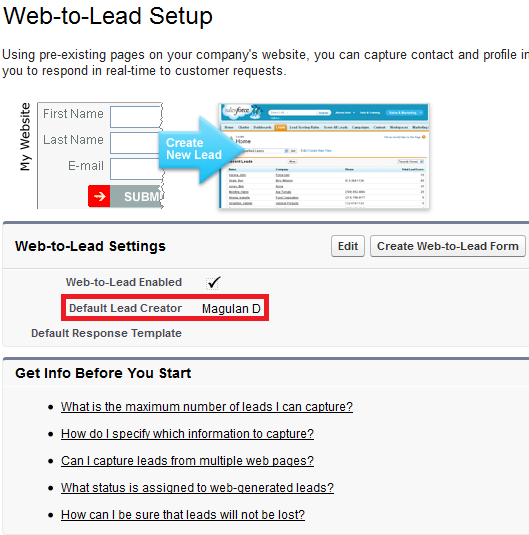 Change the Default lead creator field while creating Web-To-Lead form.